If there is any great thing that has ever happened to Africa, it is your emergence as Nostrademus predicted centuries ago. From the first day I heard your voice on the radio preaching the Gospel of truth-Biafra , I got motivated and discovered the genuine spirit in you. For me, a genius is someone born with exceptional intelligence who can easily be described as a gifted individual, and that, I saw in you.There's no doubt that you were God's sent to Biafrans, Africa even the world at large. I wouldn't mind giving you the honour as the greatest African living. Sir, you made me to know who I am, to discover my identity and to know where I belong. You taught me to be fearless before my enemies even at the point of death. You inspired the spirit of honesty and integrity in me. You taught me to preach, defend and protect Biafra everywhere I go. You introduced to the World a better and a rear method of freedom fighting. You are the greatest thing that has happened to Biafra and freedom fighting. Through your method and tactics of freedom fighting, others will learn and adopt same measure. The truth remains that you are irreplaceable, and that is the reason why Biafrans all over the world and lovers of freedom, are doing everything humanly possible to ensure your freedom from the hands of vampires and enemies of the truth. You are one out of a million! For those who think that you may die in the enemy's den, tend to forget that you are the apple of The Almighty Chukwuokikeabiama's eye. You are like the Biblical Daniel and I believe that you will come out victorious just as he did. Sir, don't forget that, the God you serve has never failed, and will never fail you. Your extraordinary formidability and resoluteness has proven to us and even some of our enemies, that you are incorruptible. You are a huge blessing to our generation; through your light, Africa and Biafra will be liberated from the shackles of evil damnation and empire of lies and deceits. Through you, Africans will begin to live right, because Biafra will teach Africa how to live and what to do. Through you, the lost glory of God to mankind will be restored on earth, because Biafra is the kingdom of God on earth. Sincerely speaking, you are a leader, a teacher, an epitome of greatness and worthy of emulation; most importantly you are a prophet. Most of the things you told us have all come to pass. The evidence is there for us to see and it's undeniable. The fact that you were ordained to librate Biafra and Africa from ignorance is undisputable. Everything you did before your illegal incarceration had a touch of excellence. Indeed, your wisdom is the type that can create a new world and has proven what the new Biafra will look like. You are the Joshua of our time and the mouth piece of truth to mankind. 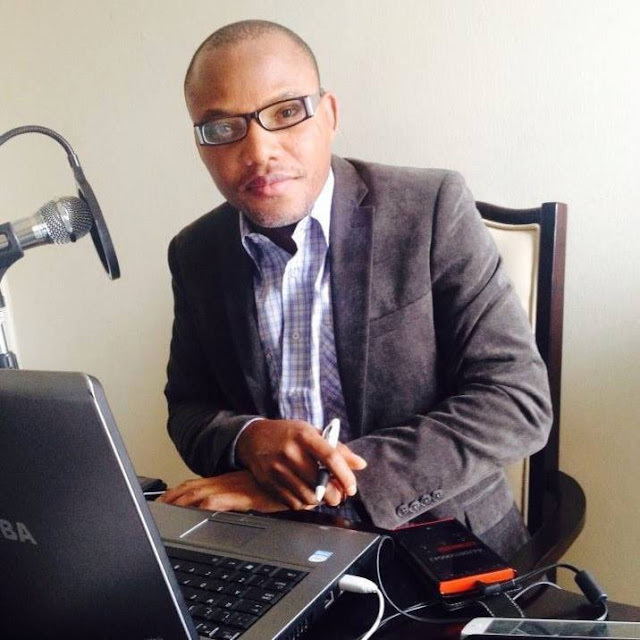 Sir, Biafrans love you, but I love you the Most. You will everly remain in my heart as I wait patiently for your return.